Chest CT after pediatric trauma is frequently performed but its clinical impact, particularly with respect to surgical intervention, has not been adequately evaluated. 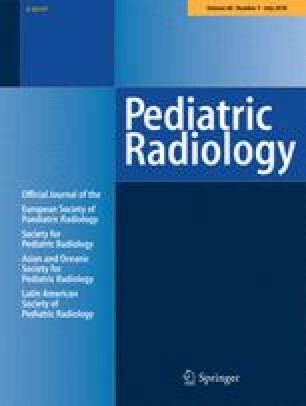 To assess the impact of chest CT compared with chest radiography on pediatric trauma management. Two hundred thirty-five consecutive pediatric trauma patients who had both chest CT and radiography were identified. Images were reviewed and findings were categorized and correlated with subsequent chest interventions, blinded to final outcome and management. Of the 235 children, 38.3% (90/235) had an abnormal chest radiograph and 63.8% (150/235) had an abnormal chest CT (P < 0.0001). Chest interventions followed in 4.7% (11/235); of these, the findings could be made 1 cm above the dome of the liver in 91% (10/11). Findings requiring chest intervention included pneumothorax (PTX) and vertebral fractures. PTX was found on 2.1% (5/235) of chest radiographs and 20.0% (47/235) of chest CTs (P < 0.0001); 1.7% (4/235) of the children received a chest tube for PTX, 0.85% (2/235) seen on chest CT only. Vertebral fractures were present in 3.8% of the children (9/235) and 66.7% (6/9) of those cases were treated with spinal fusion or brace. There were no instances of mediastinal vascular injury. Most intrathoracic findings requiring surgical management in our population were identified in the lower chest and would be included in routine abdominopelvic CT exams; this information needs to be taken into consideration in the diagnostic algorithm of pediatric trauma patients. 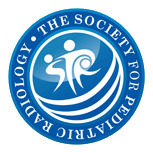 Presented at the 52nd annual meeting of the Society for Pediatric Radiology in Carlsbad, CA, April 21–25, 2009. Statistics supported in part by grant M01 RR-00095 from the National Center for Research Resources, National Institutes of Health.